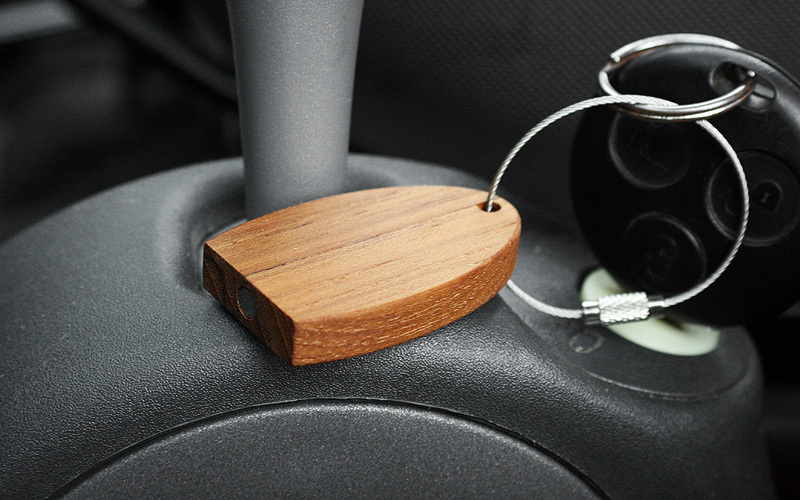 This simple key ring with a wooden block not only feels smooth in your hand but also sticks to metallic walls or poles. 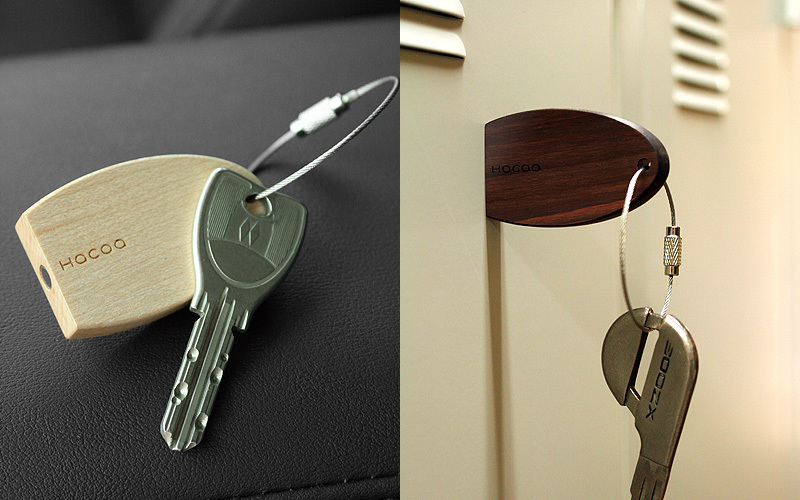 With an embedded magnet, it can be attached randomly without a hook and detached with one action. 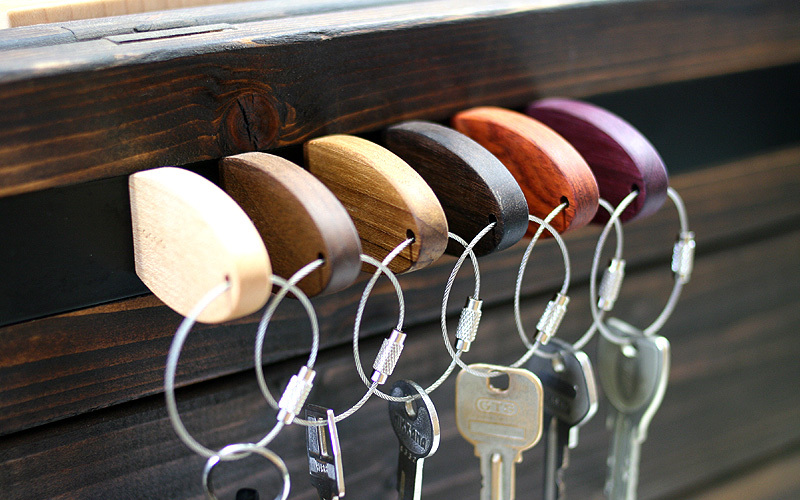 A habit of keeping it on the metal door will not let you leave your keys behind.